SRUC’s Crichton Royal Farm Visitor Centre invites lovers of the countryside and of poetry to experience ‘Life on the Farm’ through local poets’ verses – which have been inspired by their own visits to the farm and written specifically for this event, as well as verse by a range of well-known writers over time. 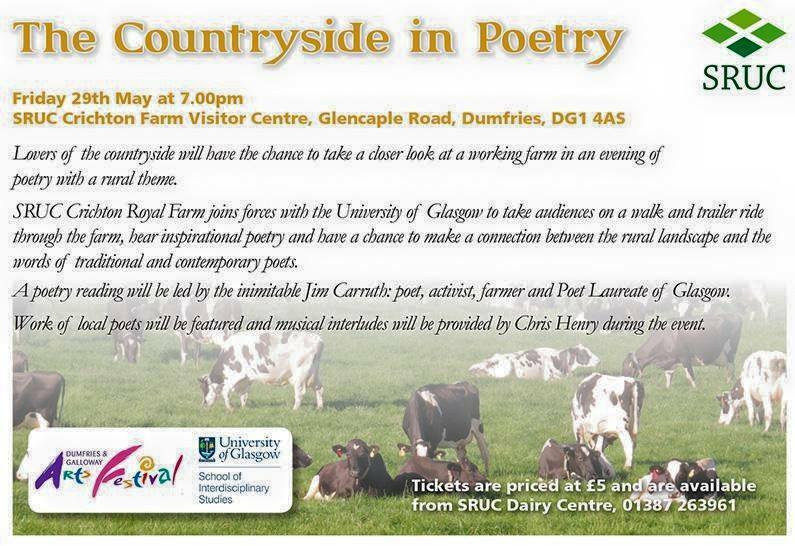 Together with the University of Glasgow, Crichton Royal Farm will welcome visitors on Friday 29 May from 7pm with an inspiring evening bringing ‘the Countryside into Poetry’ as part of Dumfries and Galloway Arts Festival. This is a unique opportunity for visitors to take a closer look at a working farm, and to experience for themselves the rural landscape which has influenced poets over time. Dairy centre PhD student and local musician Chris Henry will provide music, and refreshments will be available to round off an atmospheric evening.